The St. Jean Baptiste, MB grain elevator, Feb 2014. Contributed by Steve Boyko. 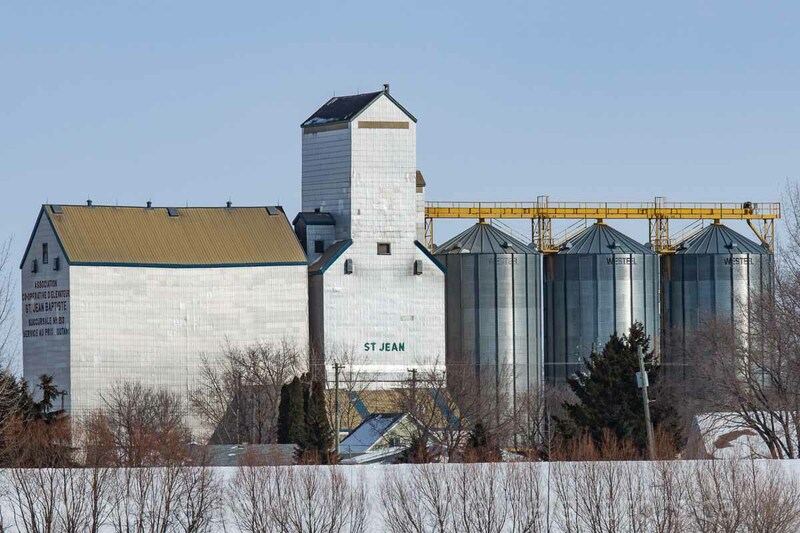 The St. Jean Baptiste grain elevator is a former Manitoba Pool grain elevator. The town of St. Jean Baptiste is off highway 75, south of Winnipeg and between Morris and Emerson. 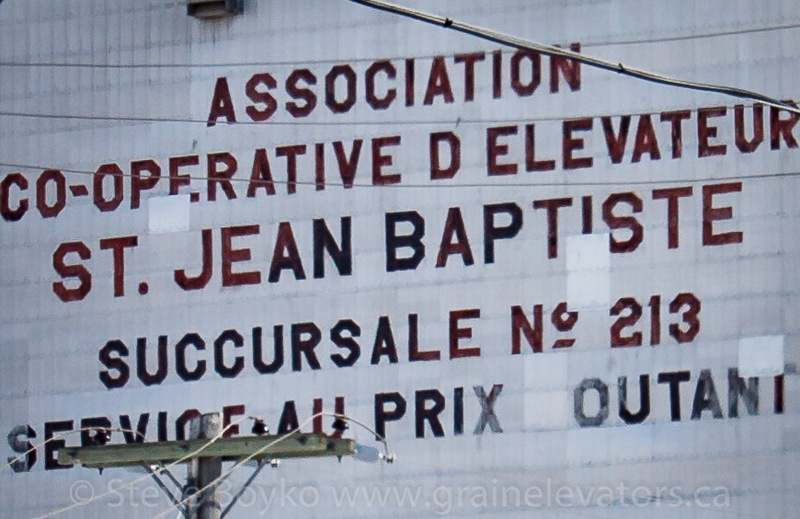 Text on the St. Jean Baptiste, MB grain elevator, Feb 2014. Contributed by Steve Boyko. The town of St. Jean Baptiste is part of the regional municipality of Montcalm. There is a lovely Catholic church in the town, made of Tyndall stone. 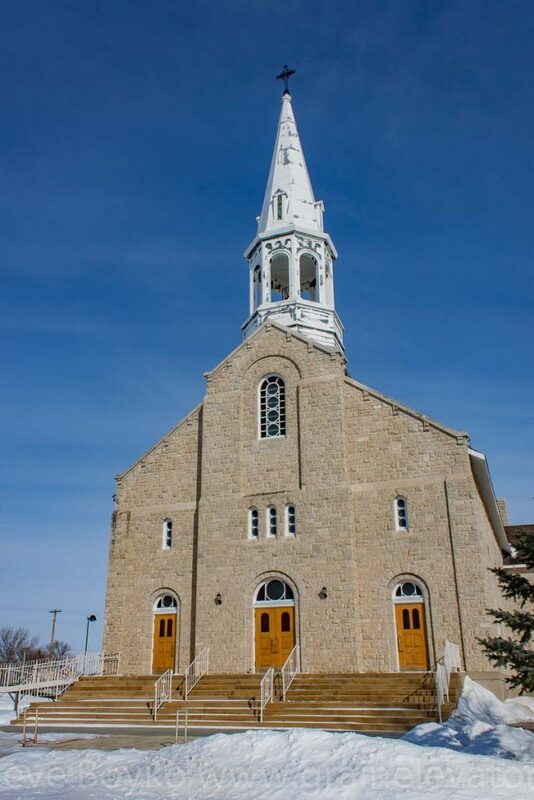 Church in St. Jean Baptiste, MB, Feb 2014. Contributed by Steve Boyko. 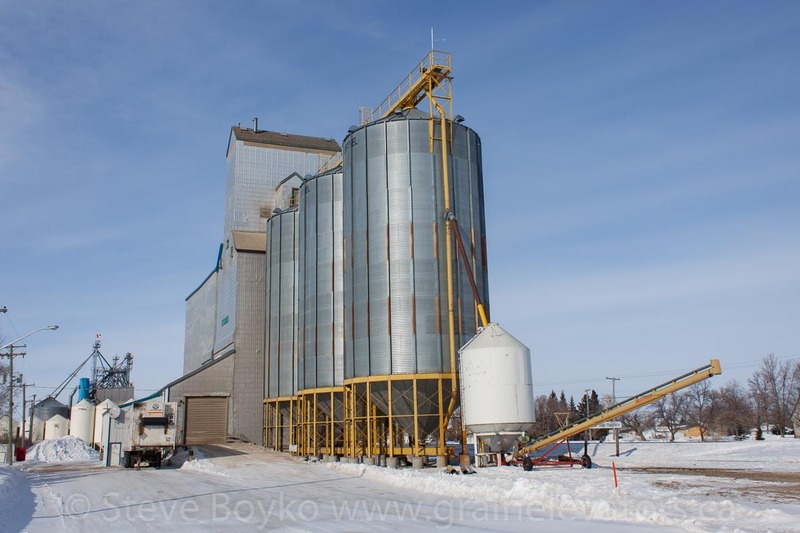 The St. Jean Baptiste grain elevator is served by CN via the CN Letellier subdivision. It does occasionally have cars spotted at the elevator.